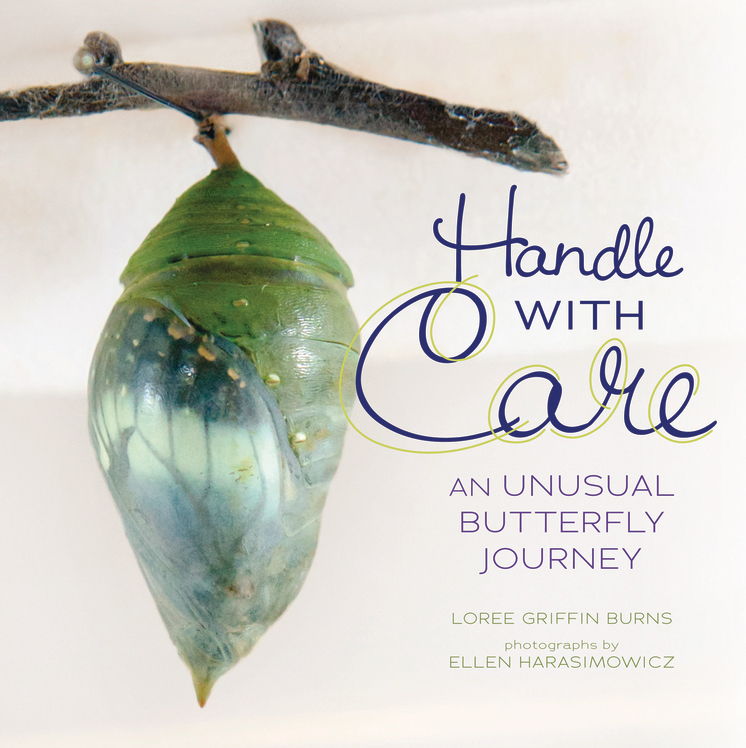 Handle With Care: An Unusual Butterfly Journey, by Loree Griffin Burns. Photographs by Ellen Harasimowicz. Millbrook Press, 2014. You may have seen the butterfly life cycle before in books, but never quite like this. How do you raise a butterfly? Award-winning team Burns and Harasimowicz take readers to a butterfly farm in Costa Rica and show how it’s done. Stunning photographs and informative, engaging text show how workers care for these delicate, winged creatures as they change from eggs to caterpillars to pupae. Like any other crop, the butterflies will eventually leave the farm. But where will they go? And just how do you ship a butterfly? Very carefully! To discover how it works, follow these butterflies on a remarkable journey! Ellen Harasimowicz is a freelance photographer from Massachusetts. Her work has appeared in The Boston Globe, The Washington Post, Scientific American, and Audubon Adventures among others. Ellen teamed up with children’s author Loree Griffin Burns to illustrate The Hive Detectives: Chronicle of a Honey Bee Catastrophe published in May 2010 by Houghton Mifflin. Before photography became her passion, Ellen spent 15 years as a graphic designer. She has self-published several books through blurb.com after recent travels to Uganda, Rwanda, and Kenya. Her most recent self-published book is an eight-year photographic essay titled John Olson: Maine Lobsterman about an 88-year-old lobster fisherman in Cushing, Maine. He is also the nephew of Christina Olson, the subject of the renowned 1948 painting by Andrew Wyeth titled Christina’s World. Ellen has a B.A. in psychology with a studio art minor from Mount Holyoke College.